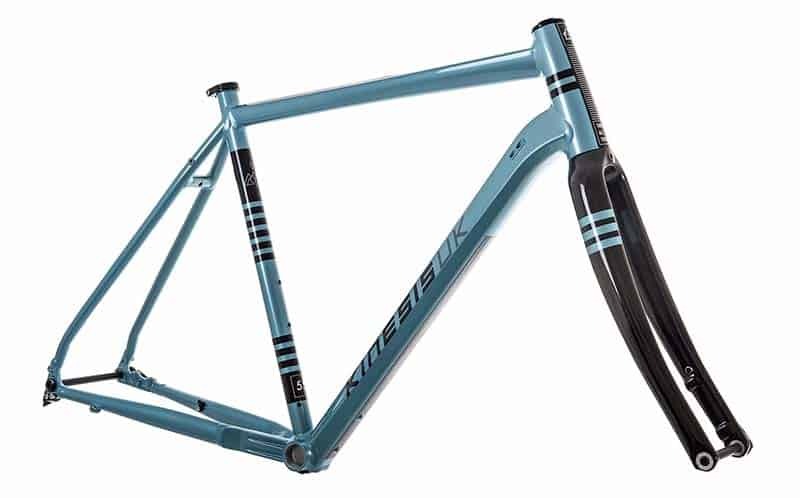 The all new Tripster AT takes years of experience gained from its ultra-successful Tripster ATR titanium cousin, range of championship winning Cyclocross bikes and Mike Hall (R.I.P) ultra-distance cycling legend. The final production model features a number of personal enhancements from Mike himself and graphic styles that he personally suggested. With that heritage and backing it is clear to see this is a very capable bike on a multitude of terrains but equally fun at the same time. A real go anywhere, do anything style of bike. Commute on it, ride bridleways and gravel with it, go bike packing on it, ride across continents on it. The new Tripster AT will take all of this in its stride and more. With through axle’s front and rear, fork clearance for 45mm tyres, frame clearance for 52mm tyres, frame routing for all groupsets, this is a real Swiss army knife style of bike! When you add to that multiple bottle cage mounts, rack and mudguard mounts you really have an ultra-capable machine ready to go! 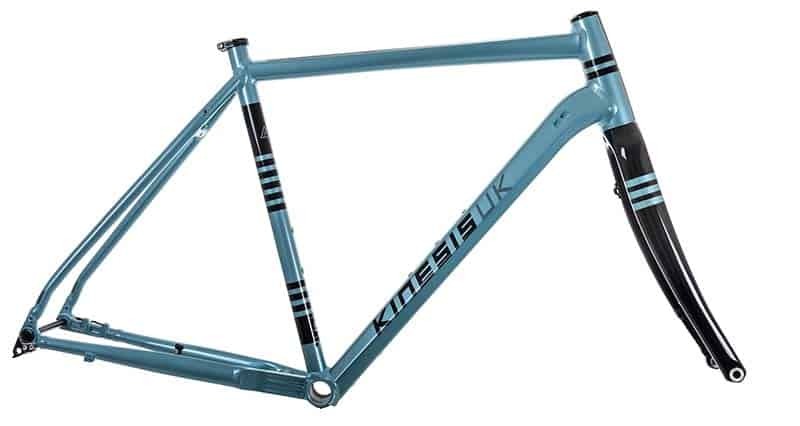 Tough yet lightweight Kinesium tubeset with tapered machined headtube. 31.8mm seat tube for 27.2mm seat post (will add a bit of compliancy). 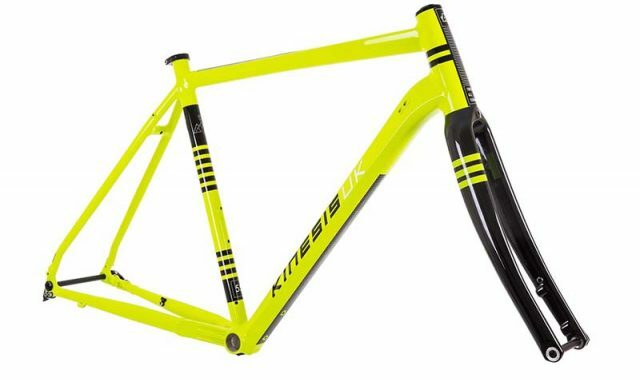 Colour matched Full carbon tapered Tripster AT fork with 12mm thru axle. Disc mount – Inboard Shimano Flat-mount on frame. Rotor size is 140mm (160mm compatible). Seat stay mounts for mudguards and pannier racks. Bridges on chain stay and seat stay for fender mounting, runs 40mm tyres with full mudguards for clean winter riding! 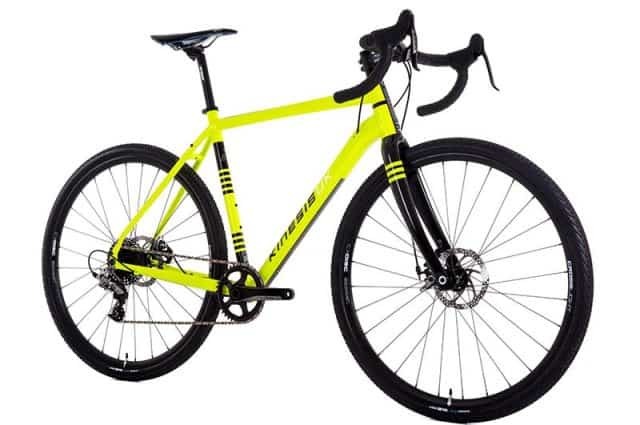 Beyond gravel capability with 700c x 45mm tyre clearance with supplied fork and up to 52mm clearance on the frame. 3 x bottle boss mounts for extra carrying capacity or storing a tool keg. Optimum hydration system – moveable down-tube bottle cage mounting to allow for full bottle carry capacity even with a frame bag. Rear 142 x 12mm Thru-axle (included), new 12mm E-thru drop out hanger. Shimano direct mount hanger optional. Internal cable routing for mechanical and electronic gear systems. BSA threaded BB for real world low maintenance riding. 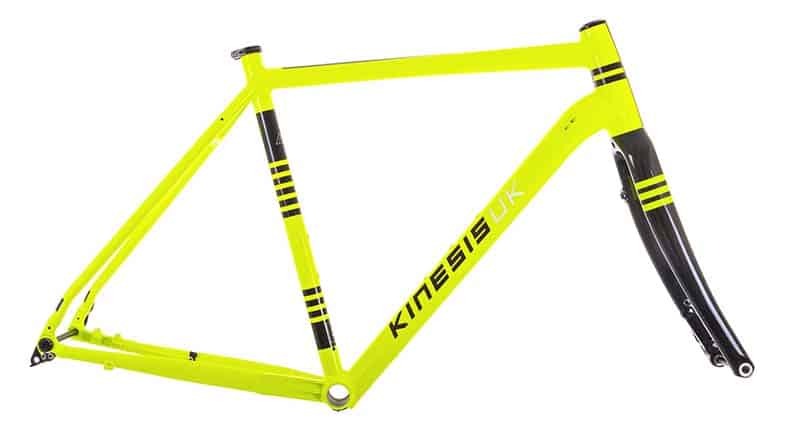 FSA Taper headset included, Kinesis seat clamp.